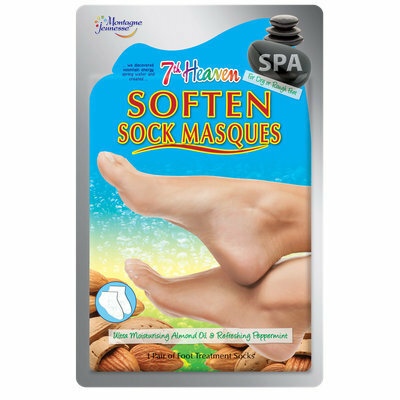 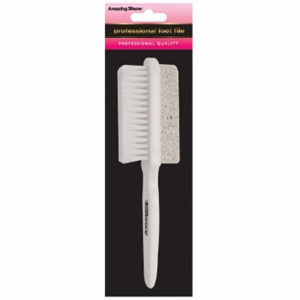 7th Heaven Soften Sock Foot Masks. 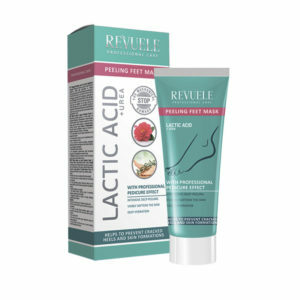 Ultra-softening foot bootie treatment with moisturising Shea Butter and Almond Oil to nourish dry skin and help repair cracked, calloused feet and heels. 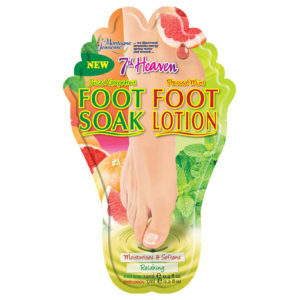 Peppermint freshens feet and Soybean, re-hydrates leaving them feeling ultra-soft and smooth.